Robin H. Lock is the Jack and Sylvia Burry Professor of Statistics at St. Lawrence University where he has taught since 1983 after receiving his PhD from the University of Massachusetts- Amherst. 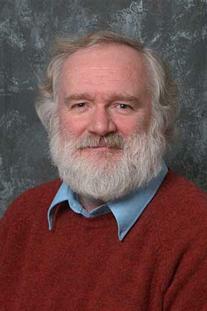 He is a Fellow of the American Statistical Association, past Chair of the Joint MAA-ASA Committee on Teaching Statistics, a member of the committee that developed GAISE (Guidelines for Assessment and Instruction in Statistics Education), and on the editorial board of CAUSE (the Consortium for the Advancement of Undergraduate Statistics Education). He has won the national Mu Sigma Rho Statistics Education award and numerous awards for presentations on statistics education at national conferences.